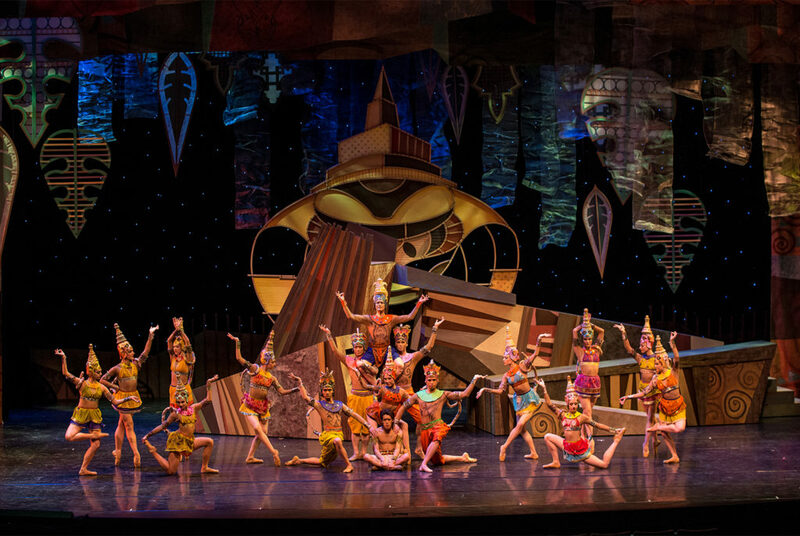 Our production of Mowgli – The Jungle Book Ballet is opening at the Hult Center this weekend so we wanted to give you five reasons why you can’t miss this incredible ballet. To bring Shere Khan the Tiger and Kaa the Snake to life, two larger-than-life puppets were constructed using lightweight metal, sturdy foam and lots of fabric. 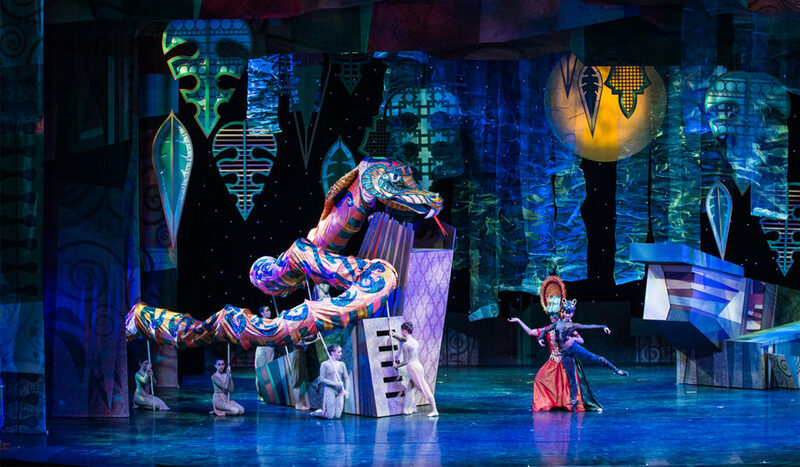 Shere Khan needs two dancers to come to life, while Kaa the Snake requires eight dancers! 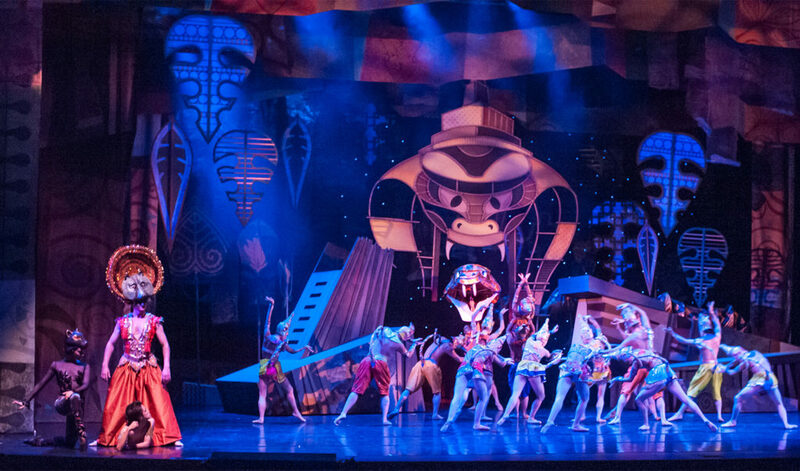 Eugene Ballet’s spectacular indoor jungle was created by of Gregory Crane, an Emmy Award-winning set designer. The set features two large rolling platforms for fast and easy scenery changes. 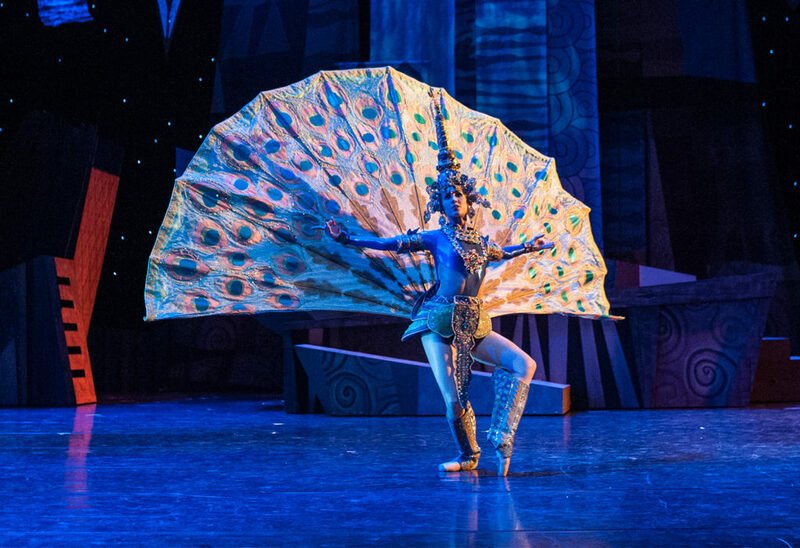 There are more than 70 stunning costumes in Mowgli – The Jungle Book Ballet and one of the most complicated is seen here, Mao the Peacock. It features two tails: a dancing tail and a display tail (at left) bejeweled with more than 5,000 crystals. 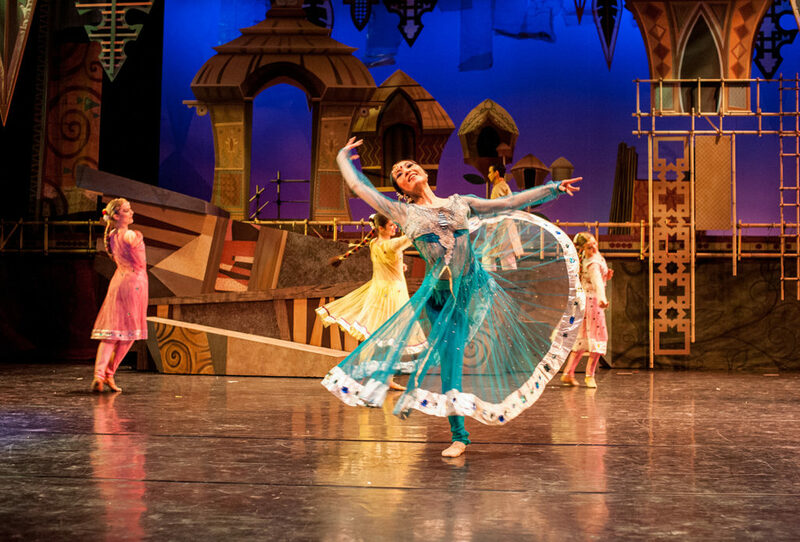 Mowgli – The Jungle Book Ballet features well-known characters from the classic children’s tale. Bring the entire family to experience the magic of young Mowgli’s life in the jungle and don’t forget to stay and meet the dancers after the show in the Lobby! In an effort to bring ballet to even more audiences, we have made $15 youth tickets (high school and younger) available for every Eugene Ballet performance! Visit HultCenter.org and look for youth tickets in Price Levels 2, 3, and 4. If you haven’t purchased your tickets yet, be sure to visit or call the Hult Center Box Office to reserve your seats for this exciting production. We hope to see you there!